VIM Airlines achieved a new personal best of more than two million passengers last year, a vibrant performance which has lifted the privately-owned carrier back into the Russian Top 10 of airlines. 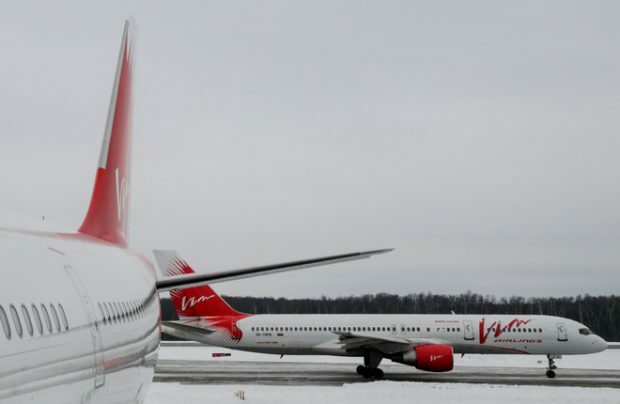 As of April 2017, VIM’s fleet comprised 21 aircraft, including 12 narrowbodies (two Boeing 737-500s, four Airbus A319s, and six Boeing 757-200s), as well as nine twin-aisle airliners (six Boeing 777-200s, two Boeing 767-300s, and one Airbus A330-200) – an impressive fleet portfolio for an airline which, just a year ago, operated only the Airbus A319 and Boeing 757-200 types. VIM Airlines, which introduced its first widebody aircraft in late April 2016, benefited from the 2015 folding of Transaero Airlines: the carrier received two of Transaero’s Boeing 737-500s, a Boeing 777-200, and a Boeing 767-300. This prompted the aviation community to draw parallels between the two carriers. At the presentation ceremony for the delivery of VIM’s first A330 in February 2017, the carrier’s CEO Alexander Kochnev corrected this impression by insisting that the company is trying to develop its own market presence: “Transaero’s demise generated a remarkable demand on the air services market, and our goal was to win over some of those passengers. Further on, we are also transforming the fleet by sacrificing medium-haul flights for long-distance services, as well as expanding our geographical network coverage and bringing new services to passengers; we have business class now and are also about to introduce first-class cabins. One of VIM’s current key objectives is to make profit on the Chinese market. On April 15, it launched regular services from Domodedovo and Pulkovo to Beijing, Guangzhou, and Shanghai. On top of that, VIM has also been approved for operations from Moscow, St. Petersburg, Kazan, Yekaterinburg, and Ufa to 24 other destinations in China. Additionally, VIM’s summer schedule offers flights to Chinese resorts at Dalian and Sanya, as well as services from eight Chinese cities to Liege (Belgium) with a stopover at Domodedovo or Pulkovo. In his response to a question as to whether VIM’s management is concerned that the ambitious company could end up sharing Transaero’s fate, Kochnev stressed: “We are trying to not compete with Aeroflot Group. Our route networks overlap by no more than 10%, and our long-haul flights are not exactly what Transaero had. According to the carrier’s top manager, VIM is expecting to receive some additional Airbus A330s, Boeing 777s, and Airbus A320 family aircraft in 2017. The latter are needed to cover the short- and medium-haul operations as Boeing 757-200s, which have formed the airline’s backbone for a long time, will gradually be phased out. The immediate prospects for VIM Airlines appear to be particularly bright. Kochnev expects the airline’s passenger traffic to double to four million passengers this year.